Extremely well loved Mustang 3800, Drive away proposition "no more to spend" ! Recent receipts for work carried out: $110K+ to ensure boat is to a high standard for a most fastidious owner! 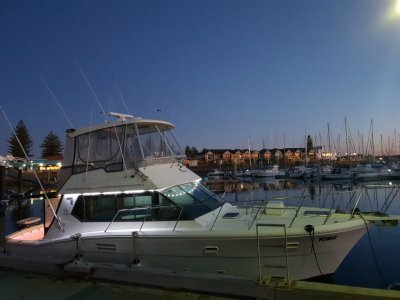 All new Simrad electronics (inc radar), ice maker, bimini/clears, polishing antifouling(15/11/18), new legs, engine bench tested and re furbished and all associated equipment replaced or serviced. Manifold /risers replaced late 2013,, generator fully serviced. Anti fouled late nov/18 and prop speed treatment. 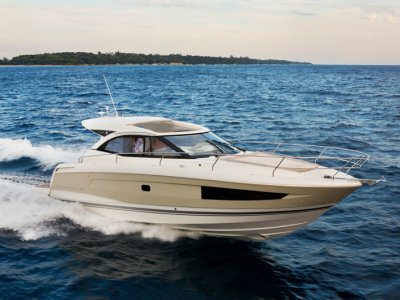 These are a huge express cruiser, equipped with twin Volvo 5.7 l MPI engines (680 hours) and bravo three drives. 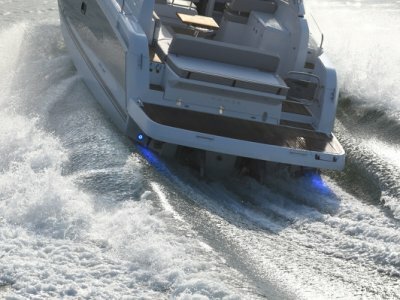 $119.9K for a boat that has just had $110K + spent on it! Fantastic Value. 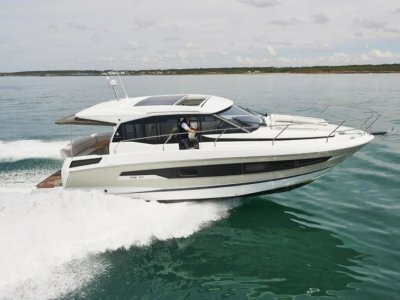 New Jeanneau, Glastron, Cygnet 20 T/S, Sirocco inflatables and Torqeedo engines.